In February 2003, my husband and I packed up all our household goods and our young family and moved halfway around the world to New Zealand. We’ve lived here for almost fifteen years and it’s been an exciting adventure with both its triumphs and its challenges (as well as a whole lot of contradictions!). 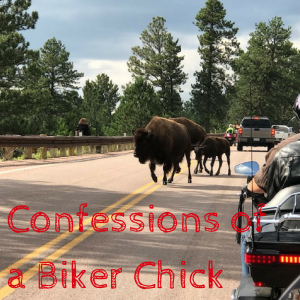 I thought it would be fun to share on Ralene’s ‘Confessions’ posts. Confession #1 New Zealand is home. Even though we came here to plant a church, we decided from the beginning to view ourselves as immigrants rather than missionaries. This place and its people are part of me now. I can’t imagine living anywhere else. I get asked all the time here how often I ‘go back home.’ For me, the answer is always the same: New Zealand is home. When I go to the States, it’s only for a visit. Confession #2 But I’ll never really belong here. I’ve made some amazing friends and am fully immersed in New Zealand life (we even hold dual citizenship), but I still feel like an outsider sometimes. For one thing, there’s my accent. Even though I’ve picked up a heap of new terminology (rubbish for trash, car boot for trunk, standing in a queue instead of standing in line) and now prefer British spelling (theatre, favourite, tyre), I’m unmistakably American as soon as I open my mouth. It makes for interesting conversation opportunities, though. People want to know what I’m doing here. Why would I leave California for New Zealand? When I say God led us here, they often want to hear more about our journey. And there are the cultural differences, too. I naively thought that NZ would be just like America. We were both once British colonies, and we both speak English, right? How different can it be? The correct answer is way more reasons than I can mention, but I’ll share one I’ve noticed. In my old mindset, to quote Benjamin Franklin, time is money. Which to me meant time was a precious commodity not to be wasted, so I’d better get things done quickly. In New Zealand, time is people. It’s much more important to build relationships than to tick off the to-do list. I’ve learned to appreciate having endless cups of tea with someone without really accomplishing anything other than solidifying a friendship. Of course, every time I think I’ve finally cracked the code, I make a cultural faux pas. Thank goodness Kiwis are a gracious bunch. Confession #3 There are some things about America that I don’t miss. While we’re basically a two-party political system here, there doesn’t seem to be the same level of animosity toward opposing viewpoints. Oh, there’s debate and disagreement. But it doesn’t seem to be as mean-spirited and downright nasty as the last American presidential election. And the amount of gun violence in America is also troubling. I’m not here to debate the pros and cons of the Second Amendment, but I’m thankful I live in a country where even the police don’t carry guns. We’ve also got a pretty good health system here. Our taxes are higher, but you’re not going to get into thousands of dollars of debt because of a car accident. Confession #4 But sometimes I miss friends and extended family so much it hurts. Years ago, I was back in the States for a visit when I ran into an acquaintance. 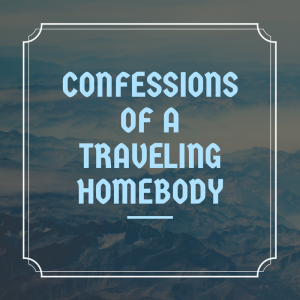 She made an off the cuff remark about how living in New Zealand was a cushy missionary job. I was too stunned at first to answer her properly, but, as soon as she walked away, I wanted to rage against her insensitivity. New Zealand is the most beautiful place on the planet (in my opinion), but it’s also all by its lonesome at the far edges of the Pacific Ocean. I’m a twelve hour plane ride from some of the people I love the most. And with my daughter studying in California, it often feels like my heart is split in two. There’s really no way to make the distance smaller. Facebook, Viber, email, and Skype all help. But it’s not the same as physically being there. I can’t count the number of times I’ve stood at my kitchen sink and cried because I haven’t seen my nieces and nephews grow up or because I missed celebrating another birthday, anniversary, major family holiday, or any other major milestone. God has always been faithful to comfort me during those times, and I’m thankful for the opportunities I have had to be able to go back to catch up with the people I love. 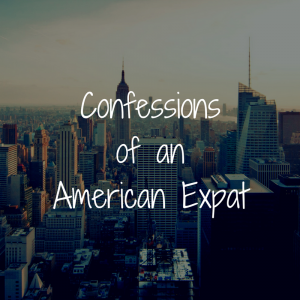 Thanks for joining me as I’ve shared my reflections as an expat. I’d love to answer any other questions that might be out there or hear about your experiences. Connect with me on social media or comment on this post. Everything has to be right. Better yet, perfect. Or else panic, chaos, the end of the world. Okay, that’s a slight exaggeration (emphasis on “slight”), but so much of the time it seems all too true. Welcome to the life of a perfectionist. 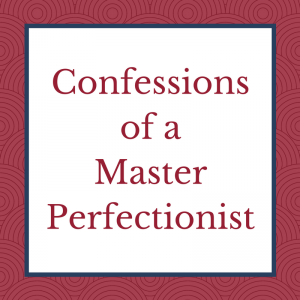 Did you know Perfectionism is one of the leading diseases afflicting otherwise healthy humans? It afflicts young and old, male and female. I fell prey to perfectionism at a young age. Through my formative years and now into young adulthood, I’ve become a master at demanding nothing less than the absolute best. Which leads me to today’s confession. Usually when somebody says they’ve mastered a skill, we consider that a good thing. After all, deep down I think we’re all jealous of the “masters” (Paula Deen, Gandalf, Yoda). However, when I say I’m a Master Perfectionist, it’s not really a badge of honor. Let’s face it. Perfectionism is a bane on productivity, happiness, and most other useful things in life. Sure, aspects of it can be helpful. For example, my perfectionism means I have a high attention to detail and am inclined to focus on quality. If you’re a fellow perfectionist, try nurturing those habits without letting the Big Bad Beast gain the upper hand. We know it’s there, lurking, eager to undermine our goals. I’ve struggled with this in many areas. As a writer, I’m always comparing myself to other (and, without fail, more successful) writers, thinking I’ll never live up to the required standards, viewing my work through a lens tainted by the persistent demands of perfectionism. It’ll never be good enough. Why would anyone want to read my work? So the thought process goes. Another huge problem with letting our perfectionism rule our lives is that it erodes our willingness to take risks, try new things, and get outside our comfort zones. I present to you Exhibit A: my blog. As a writer, I knew I wanted to start a blog to build an audience (because of course I needed a way to become a wildly successful author *cough* idealist *cough*). I’m going to be frank. I waited WAY too long to start that puppy. I researched, read other blogs, scoured the internet for options and choices. It took me two years to start. Even though when I finally began I felt more equipped to launch into the blogging world, that was two years I could have spent actually writing, learning, improving, building my audience. If you find yourself nodding and thinking, “That sounds like me!” here’s some chocolate. In all seriousness, I get it. I’ve been down the path more times than I care to remember. And the thing is, when you let perfectionism run wild, what happens to the opportunities that come your way, the hopes you have, the dreams you want to chase? Chance after chance passes by because it’s not the perfect fit. Hopes become jaded because your expectations are set too high. And the dreams—they slowly die. Because with perfectionism whispering in your ear, telling you it’s never good enough, you never start chasing those dreams. It’s all too impossible and big and scary. What if you fail? So many times, I’ve let that fear be the driving factor behind decisions I make. Fear of failure and perfectionism go hand-in-hand. We don’t want to fail, so we try to be perfect. At the end of the day, such thinking doesn’t get us anywhere. It’s like planning the perfect vacation (touring Europe, anyone?) and then never leaving because what if things go wrong? That’s my default mindset, and it’s crippling. If failure isn’t an option, then neither is success. Think about that. You can’t succeed unless you’re willing to accept failure at some level. Which means we need to face this beast called perfectionism. All too often, conquering it seems like an impossible mountain to scale. Mount Doom perched atop Mount Everest…on the moon. As I said, I’ve found perfectionism crippling. I don’t take risks, pursue potential opportunities, or follow my dreams as well as I could. Let’s flip the situation around. Instead of considering the problems, focus on the possibilities. What would happen if you pushed aside your perfectionist tendencies and went for it, whatever “it” is for you? Would you trip up? Yep. Would everything go according to plan? Nope. Would you learn and grow and do things instead of living in a try-to-be-perfect but boring bubble? You can count on it. And most importantly, don’t let perfectionism keep you from following dreams. I wear many creative hats, one of which is to write speculative fiction stories. This allows me to roam through my imagination, where I have illegal amounts of fun creating worlds and characters to populate them. When I’m not busy with a thousand and one responsibilities, I enjoy spending time with family and friends, digging into a good book, and watching movies. I live in Colorado and don’t drink coffee. The two aren’t related. 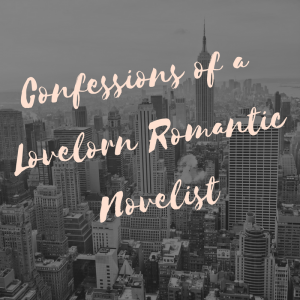 I love connecting with other readers and writers, so don’t be shy. I keep my superpowers in check. Promise. Not a single photo exists of my father and me. 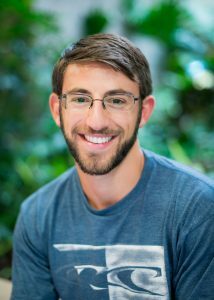 He had just turned 27 when I was born, but during my mom’s pregnancy, mental illness had clutched him so quickly and so deeply that his eyes, his face, could no longer hide it. My father’s illness at my birth and in the months following were not memories my mom wanted to keep so—no pictures. That was in the ‘60s when schizophrenia was a complete mystery and the stigma of mental illness was even more isolating than today. My mom didn’t understand what was happening, and her in-laws lived in denial, leaving her to cope alone. When it was time for my arrival, my father was AWOL. Mom called a friend to take her to the hospital, stopping along the way to leave my two-year-old brother with our grandma. A few days later my mom returned home with a newborn and a toddler—a toddler who my father began to insist was a little person impersonating his young son. His mental illness escalated, and so did my mother’s fear for the safety of her son. I was 16-months-old when my father took his life and my mom moved us to another state. She never hid the truth from me—about my father’s illness or his death—so I grew up knowing I was the daughter of a schizophrenic and wondering if the disease would target me, too. 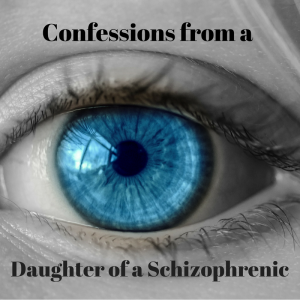 As a teenager, I developed a fascination with schizophrenia. 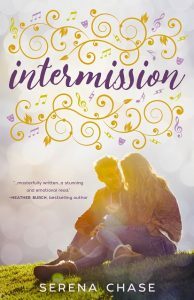 When teen drama took the stage, I wondered if girls were really talking about me, or if I was being paranoid. If I was paranoid, was it normal paranoia or was it my father’s paranoia? How would I know? And I was a daydreamer, but was I really? What separated a daydream from a hallucination? I worried I wouldn’t know the difference. 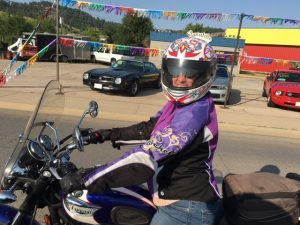 I marked each birthday as another year I had successfully evaded the disease, and when I finally made it through my teens, through my twenties, and into the next decade, I relaxed because I knew the research. I was 30. I should be safe. But then I had children…and new questions. Could schizophrenia skip a generation? What does it mean that my daughters are “genetically predisposed” really? Could some trigger set off the illness? What could be the trigger and how could we avoid it? I discovered my daughters’ chances of inheriting the disease were higher than the general population—but only slightly. And since parenting presents daily challenges in the here and now, I decided not to waste energy on what ifs. I tucked away my fear, but still I find myself gauging my daughters’ behavior, their emotional reactions, their ability to cope. One morning I realized I wasn’t the only one with genetics on her mind. She was digging for something, but I wasn’t sure what. “You don’t think weird things, but you do think differently than a lot of people. That’s the creative, artsy part of you.” I glanced at her. She seemed satisfied. She turned toward me. I took my eyes off the road long enough to look hard into hers. “You don’t have schizophrenia.” I smiled, a little amused, a little sad. “How do you know?” I heard the hope more than the question. She clicked a button on her phone and the screen went black. “Good.” She settled into her seat and her shoulders relaxed. But mine didn’t. I wondered if she knew about 30. I wondered if she’d check off each year she celebrated a birthday as I did, like it’s a rush to the finish line. She may not. But I will. 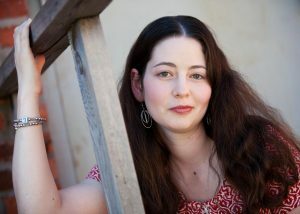 Karen Sargent used to believe that being an English teacher and a mother interfered with her dream to become an author. After more than two decades in the classroom and 21 years of momhood, she now realizes teaching her students great literature and how to write made her to a storyteller and a better writer. Raising two daughters gave her something meaningful to write about. 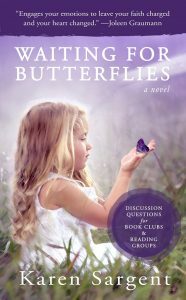 Karen is the author of Waiting for Butterflies, an inspirational women’s fiction novel, and she blogs at The MOM Journey…where moms aren’t perfect and that’s perfectly okay. She and her husband are preparing for their nest to be empty when their youngest daughter joins her sister at college in the fall. 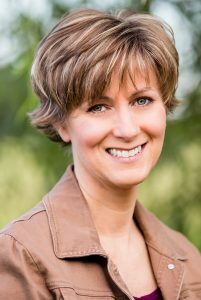 Visit Karen at www.karensargentbooks.com or on The MOM Journey at www.karensargentbooks.com/blog/. My name is Serena Chase and I am not a real person. I am an invention. A pen name. 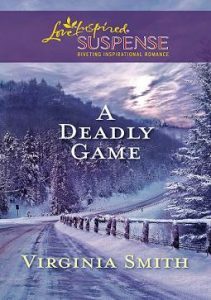 The secret identity of an author who, for reasons ranging from personal safety—due to a scary series of incidents—to shelf placement, chose not to associate her real name with her public career. But even though I’ve—no, she’s—ahem, we’ve coexisted for a long time now, it sometimes gets confusing. For both us. More for her than me, probably. Like now, when I realize I’m talking about the true me—the Social Security Number-bearing individual, the real me, the one responsible for the creation of “Serena Chase” and her associated products—in the third person. 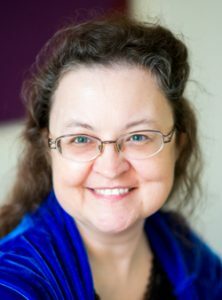 When I (the real me) first made the decision to safeguard my work by writing under a pseudonym, I was revising my first two novels, The Ryn and The Remedy while blogging regularly for a popular Christian fiction blog . . . which soon led to becoming a regular freelance contributor to a USA Today blog. “Serena Chase” was gaining momentum, fast—not as an author of fiction, unfortunately, but as an influencer on behalf of other inspirational and YA fiction authors. 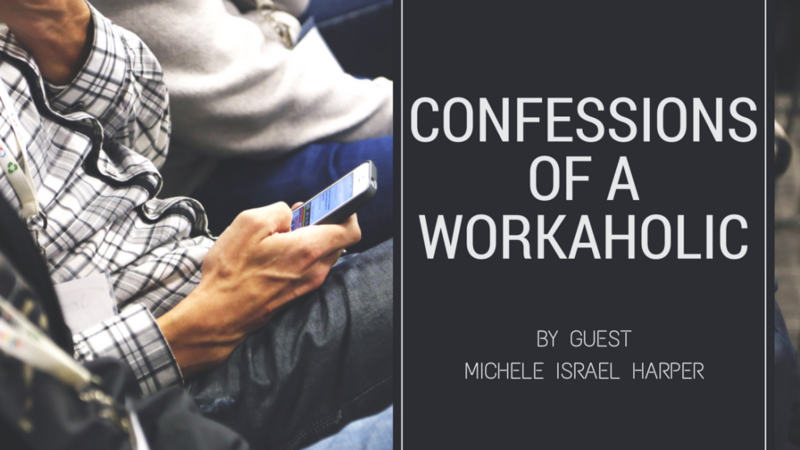 (Ah, but that’s another “confessions” post.) The career wheels were turning, but it was becoming questionable as to whether I could keep both the pen name and my sanity. Every time I signed a blog post or an email with my pseudonym, I obsessively struggled with the idea that I was a BIG. FAT. LIAR. Long had I bemoaned the absence of authenticity and vulnerability within the Christian community, but here I was, forming professional and personal relationships within the publishing world under an assumed name and, to some extent, personality. Through those early years, some of the authors I met became dear friends to whom I eventually stuttered through a pen name confession, but all the while, my natural leanings toward anxiety and depression screamed, “Liar!” like Miracle Max’s wife in The Princess Bride. One moment I would be writing a draft of the apology post that would reveal my real name . . . and the next I would be deleting it, paralyzed with fear that the nasty people responsible for me actually considering a pen name in the first place would discover my secret and cause more damage. I sought council from those who knew me by my “real name” and were aware of my situation. As a rule, the writers in that small circle saw the pseudonym as a career necessity, not a moral dilemma. My non-writing friends, however, while expressing understanding for why it felt necessary to me, either shrugged off or added to my fears and/or my feelings of being a liar. I was at a moral, philosophical, and business impasse. Was my struggle, as one friend suggested, only a symptom of an overweening pride that wanted to claim the words I wrote under the name that was truly mine? Or, as another friend offered, was I a slave to fear, not trusting God with my family’s safety? Was I making a mountain out of a molehill? Was having a pen name a lie, and therefore sin? Or was it a solid business decision? Was it right? Wrong? A gray area? It went on like that for a long time. I obsessed. I prayed. I cried. I hated myself for all of it. I hated “Serena Chase” for being cooler than me. I couldn’t sleep. When I could, I woke up in the middle of the night with panic attacks. I was a mess. In the context of our conversation, we did not necessarily discuss the merits of the work produced. We spoke of a business model, a strategic campaign. Yes, it was Famous Author’s name—her real name, as far as I know—but we were not discussing it as a part of her human identity; we spoke of The Famous Author Name Brand as exactly that: a brand—a label attached to a specific collection of intellectual property and all connected marketing efforts. It got me thinking . . .
As authors, we are told to “build your brand” and to “be brand-consistent across all platforms.” Could the “brand” concept justify the existence and proliferation of “Serena Chase” in the moral center of my mind? Instead of “Serena Chase” being the “big fat lie” I’d been losing sleep over, was she—er, it—, instead, a brand under which my creative intellectual property could safely reside? It was a life-changing revelation. But most of the time . . . I’m okay with it. I’m okay with building The Serena Chase Brand and representing it in the flesh when necessary. Sure, sometimes I wish I could move far away from my hometown and legally change my name to “Serena Chase” because it would make life easier. I’ve realized I often feel more comfortable operating under my brand identity than the one I was born+married into. Is that weird? Yeah, that’s probably pretty weird. Ah, well. Another confession for another day. What do you think about the use of pen names? 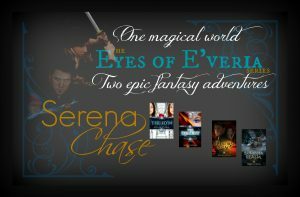 SERENA CHASE is the (pseudonymous) author of the critically-acclaimed Eyes of E’veria epic fantasy series and Intermission, a contemporary young adult romance. 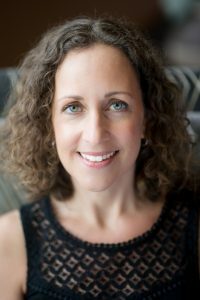 She believes readers expect a novel to be an immersive entertainment experience and seeks to provide that experience through her stories. 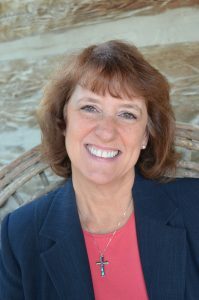 When not writing, she can often be found assisting other authors with manuscript critique and marketing copy creation through her business, Reviewer’s Eye View, or teaching workshops on the art of crafting immersive, entertaining fiction. 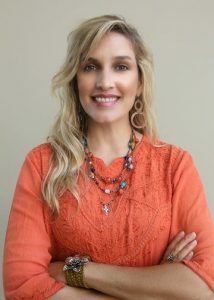 Connect with Serena on Facebook, Twitter, Instagram, and through her website and newsletter. Welcome to another bright, shiny month! Can you believe how fast May flew by? I still feel that the conference I went to the first weekend of May was last week. May was pretty crazy for me. Fun, amazing–but crazy. I accomplished a lot, but none of what I set out to do. Odd how that happens sometimes. But that’s the thing about a new month–a chance to try again! Get into a routine where I can better balance work and homeschool. I already have my schedule laid out, so it’s a matter of getting everyone on board and sticking with it! 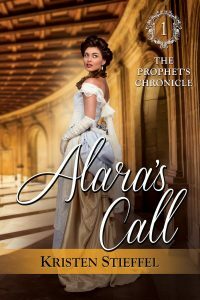 I got my first round of edits for Aletheia back, so I need to get those done before vacation at the end of the month, if not sooner. I’ll continue getting up early in the morning to edit for a couple of hours. Do a shakedown and reorganization of my work layout. I’m going to be focusing more on social media and book marketing (instead of editing). So, there’s going to be a learning curve. Plus, I’ll be changing my daily focuses to reflect this change. Get my homeschool paperwork organized! The first step to getting my health under control is to plan better meals! My husband and I are working together to plan out menus and find meals that we all enjoy. I’m going to print up these goals and hang them up by my desk. This way I can see them every day and remember where my focus should be. 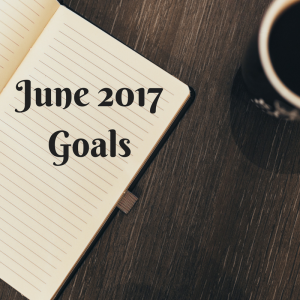 What are YOUR goals for June, work or personal? I’m a late bloomer. It took many years of marriage and four kids to figure out what I wanted to be when I grew up. When I graduated high school back in *ahem* 1987, I had plans of becoming a model and world traveler. Yeah. I know. Very realistic and attainable. But college was definitely not part of my head-in-the-cloud plans because there wasn’t anything I wanted to do that could justify the cost. Thankfully, the Lord had other ideas. He brought Prince Charming my way a year after graduation, and we were married shortly after I turned twenty. Billy (aka the prince) was the left brain to my right brain—quite literally—and helped me to keep my feet on the ground without giving up my desire to dream big and embrace life. But once we started our family, a lot of my hopes and daydreams had to be set aside for a season. This was before the internet and smart phones too, so when I see busy moms that—somehow—juggle school, jobs, writing, housework, and social media, I’m a bit boggled and incredulous. I don’t think I could have managed such an itinerary with any measure of grace, let alone success! Hats off to you millennials that have grown up with social media diversions as part of your norm. I guess it’s all a matter of what you’re used to. By the time my oldest daughter was seven, we also had a boy, age six, with autism, and two more daughters, age three and newborn. Let’s just say there’s a large chunk of my young married life that’s rather fuzzy. Beyond laundry, meals, school work, and therapy, I don’t have a whole lot of clarity on the day to day. Pretty sure everyone made it through well fed and with clean underwear, but I wouldn’t bet large sums of money on it. Still … in the midst of our busy family life, I knew there would be another season that would allow more time for creative pursuits. Fanciful ideas always bubbled just under the surface. Don’t get me wrong, I wasn’t merely biding my time as a mother so I could get to the ‘fun stuff’. No. I loved being a mom, a wife, and a teacher. Creative pursuits just looked different at that time…like learning to cook and enjoying the challenge of decorating on a shoestring budget. Still, my mind constantly came up with ideas, both realistic and impractical. One thing I had always loved to do, from childhood through high school, was dance. Think Fame and Flashdance—iconic 80’s movies. Although my parents didn’t have the finances to put me into any sort of lessons or program, public school had quite a few outlets for it, between dance team, cheerleading, and talent shows (not to mention hoofing it around my house). However, after graduation I really didn’t have an opportunity to continue dancing. When my youngest was two, my husband encouraged me to get involved with it again (told you he was a prince!). Being that I could only take classes when he was home in the evening, there wasn’t a wide selection of adult dance classes to choose from. I could take ballet, or ballet. Since I hadn’t any experience with this form of dance beyond a plie, it was a whole new discipline. To be honest, it wasn’t nearly as fun as contemporary dance because it’s much more technique driven and all about uniformity among dancers. I’m more of a free spirit. But it was still an opportunity to dance, nonetheless, and I learned to enjoy it. Around that time, my kids began to take classes at a fine art school for homeschoolers. Eventually, I put my son in their ballet program to help with his coordination. I stayed in class and assisted him since his coordination and flexibility were about as natural as my talent to work quadratic equations (hint, that’s a left brained activity and I don’t have one of those). Because of my involvement, I was eventually offered a job teaching ballet at this fast-growing school. Okay, the Lord definitely had a secret agenda for me when ballet had been my only option for dance classes a few years earlier. Someone was actually going to pay me to teach dance and I’d get to choreograph performances—which was my favorite thing ever. Fast forward fourteen years. I’m still teaching ballet at this fabulous school. We’ve grown from a handful of students to close to one thousand! We’ve expanded from two ballet teachers to five. And choreographing for our ‘showcase’ is still the best part of the year for me. Choreography is storytelling set to music. I prefer to use songs with lyrics so that we can express the story through dance, though certain instrumental pieces can move me in much the same way and I’ve used them as well. As my children became teens and tweens, I began to see how swiftly our school days would come to a close. When my youngest was in sixth grade and my oldest had graduated, I could feel the fetters of schedules, classes, rehearsals, and performances loosening, little by little, as each child became a young adult. What was I going to do with myself? Ballet classes were only a once a week event. I didn’t want to choose a career path after our final graduate walked the stage. I needed a goal to work toward. Enter writing. If I could begin a career in ballet in my thirties, why couldn’t I begin a writing career in my forties? I’d always had the desire and the ability lurking just under the surface. Where I had struggled tremendously to keep my head above water in math, I had easily coasted through English and literature courses. And as a homeschooling mom, I enjoyed reading to my kids most of all. “Just one more chapter” was a sure way to take a bite out of my well-intended schedule. I had already been playing around with writing kids books and venturing into the blogosphere, so writing wasn’t a brand new pursuit. But I made a firm commitment to have some sort of career in place by the time my youngest graduated. Though I had often dipped into creative pursuits only to let projects sit unfinished for eons (if finished at all), I felt like the Lord was calling me to look at the big picture, the long term, and the future of my grown up self. Well, number four graduated in May of 2016. 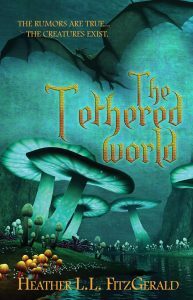 My first book The Tethered World was published in February of 2016 with The Flaming Sword releasing that November. The Genesis Tree is coming out this June which means my first publishing contract has been fulfilled. Pretty much divine timing, right? Divine indeed because I look back and wonder how my blonde, right-brained self managed to pull this off. I can’t help but view the past twenty-seven years of marriage with a thrill of awe and thanksgiving over how well the Lord orchestrates our paths. He has blessed me with a wonderful husband, terrific kids that have grown into treasured friends, a beautiful grand daughter, and—amazingly—a dual career doing things that I absolutely love. It’s humbling to look at how little I had to do with any of it. Even the talent to dance or to write are gifts from Him, designed by Him. I feel like I’m getting some sort of do-over from my graduation in ’87. Probably because I needed to grow up a bit to know what I wanted to be when I actually grew up. Thanks to the disciplines of being a wife and a mother, I’ve matured enough to handle the freedom of self-expression that would have been wasted in my youth (on me anyway). Yep. I’m a late bloomer. What about you? 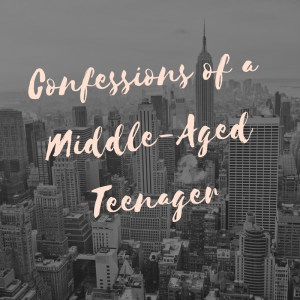 Maybe you had different opportunities than me and were able to enjoy a career before you reached middle age (okay, maybe you’re not anywhere close to being middle age but, I promise, you’ll be there in a blink). Still, we all have hopes that are deferred for one reason or another. What are your future dreams? Although there’s controversy surrounding whether or not C.S. Lewis actually said this, it is still a favorite quote and sounds like a tidbit of his wisdom. 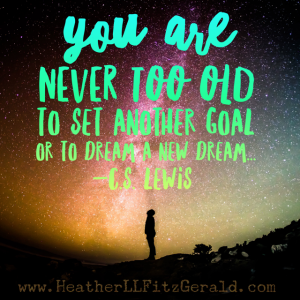 “You are never too old to set another goal or to dream a new dream.” I’m certainly proof of that. And I’m not done dreaming! Heather L.L. FitzGerald writes from her home in Texas, while dreaming of being back in the Pacific Northwest, where she grew up. When her four kids were young, she enjoyed reading aloud until her voice gave out. (Her son, who is autistic, would just move on to his favorite audiobook). Certain stories became good friends—the kind you want to revisit. The kind you wish never needed to say goodbye. Those are the kind of stories Heather aspires to write. Stories worthy of delicious coffee. Stories difficult to leave. Her YA Fantasy trilogy The Tethered World Chronicles will be complete when her third book, The Genesis Tree, releases June 1st. Her other books, The Tethered World, and The Flaming Sword, are available on Amazon or can be ordered at any book retailer. 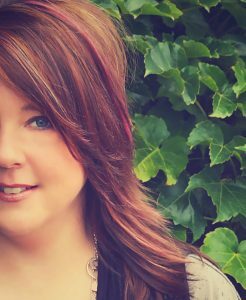 Heather is a member of the North Texas Christian Writer’s group, ACFW, CAN, and helps with the Manent Writer’s group in Fort Worth, Texas. 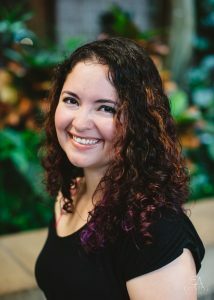 You can connect with Heather on her website/blog, Facebook, Pinterest,(Belongs to her main character, Sadie), Character blog: (Sadie’s mother has a blog pertaining to legendary creatures), Twitter, Instagram, Goodreads.